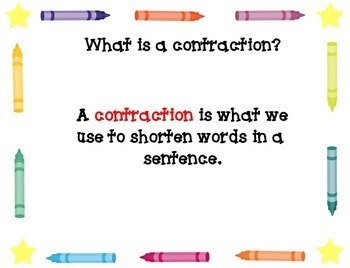 This file includes a Smartboard flipchart about contractions. 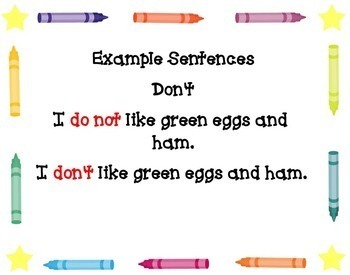 It lists different types of contractions, a link to "Green Eggs and Ham" video clip on Youtube, and writing contraction slides. 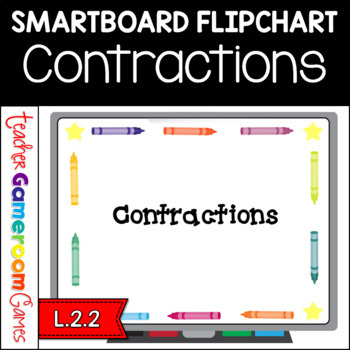 This Smartboard flipchart is part of the Contraction Action Activity Pack. 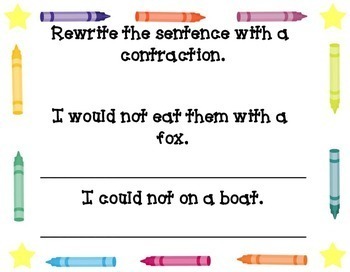 Please vote for my product! Become a follower and like my facebook page!